Welcome to my new home! We are finally here in our new hometown. We bought a brand new house. Yes, me, the one who LOVES old charming houses bought a NEW house! Well, actually, we haven’t bought it yet. We intend to as soon as our house in Portland sells. For now, we are on the “rent to own” plan. We decided on a new home because we didn’t want to spend our first few years here cleaning up 75 years worth of other people’s dust and grime, stripping six layers of wallpaper or replacing non-working harvest gold grease filled appliances. We have spent 22 years doing that in several different houses and just decided that this time we were going to give ourselves a break to do other things! And when we found a reasonably charming NEW house, we knew we had found our home. I seriously might need some sort of counseling to get me through the fact that I didn’t have to scrub down walls and disinfect or anything before we let our kids move in. It feels so, well, wrong. But, I think it will be the right thing for us in this season of life. It fits with all of my goals for the year — I wanted to make a house choice that supported the life I wanted. I’ll share how this home fits into those goals in future posts. Our move up here was the craziest ever. We woke up to snow (again) in Portland on Friday, our moving day, and all the way up into Washington we watched cars spin out on ice in front of us, landing in ditches. We saw cars turned over on their roofs and accidents every mile. It was SO scary! We couldn’t decide if we should turn around or keep going in hopes of better weather ahead. Even though we had no four wheel drive, no snow tires and no chains, we made it safely. Unfortunately for us, our moving van turned around (just before the roads cleared up) and went back to Portland! So we have no beds. No chairs. No pans. None of our stuff. And the craziest part is they were going to reschedule the delivery for Monday but now as of Sunday night we have over four inches of new snow on the ground. It might be a long week of sleeping on the floor! And a long week with no washer or dryer for the few clothes we brought with us! I’ll be getting back to my regular blogging schedule this week with new posts for 2009 (blogging from a bean bag chair on the floor), our Beautiful Life Mr. Linky each Friday to keep us focused on our goals for the year, and of course, I will give you all a house tour. My head is still pondering how to make our new house feel like home! Thanks for checking on me and all of the support through my move! You are the best! I’m very excited about my new life here and just knowing you all are out there makes me feel like my friends are all next door, even though I hardly know anyone in town. It looks beautiful Melissa! Now you can show us all the ways you will add old fashioned charm and hominess to your blank slate. Starting over sounds like such fun. You really do have a fresh start this New Year:>) God bless you in this new adventure and your New Year! Looking forward to the next installment in the Washington story. Melissa, your new home is gorgeous and I know just by you and your family being in it, you will make it even moreso. I think it’s wonderful you found a place you can just move into! I can’t wait to do the same someday! Best of luck to you on this new journey. It looks like you’re off to a great start! Your new house looks lovely (from the outside). I can’t wait to see photos of the interior! Good luck moving in and getting your stuff. We drove through blizzard-like conditions right before Christmas- it was no fun. We also saw many, many over-turned vehicles too (mostly suvs and trucks!). Scary stuff! What a beautiful home! I look forward this year seeing seeing how you make it yours. First, I am glad you made it safely. That would have been very scary! Secondly, the house is so cute! I think it must be strangely wonderful to not have all of those usual chores to accomplish…but you will be so busy with the new church that you have shown much wisdom…. Hope your things arrive soon! What a lovely house, Melissa!!! I can’t wait to see the inside, too! We’ll continue to pray, til your Moving Van makes it to your place with everything!! You’ll continue to remain on our Prayer List, too! It’s beautiful! I’m so glad you got there safely. Hope your things get there soon too! See you soon at BlissDom, I’d love to get to meet you. You are one of the sweetest gals I’ve “met” in blogdom. Have a blessed day! Ah, Melissa, It is gorgeous!! Oh but you seem to be in a real moving adventure. I sure hope the moving van comes soon. I cannot wait to see more. As someone who was considering buying a 75+ year old home.. I am starting to hesitate! It’s beautiful! I love it. Can’t wait to see what you do on the inside. I’m sure it will be lovely. I hope you can get your things soon and we’ll be keeping you in our thoughts and prayers as you continue your move in crazy, snowy weather! You house looks beautiful. Has a lot of character to it. Kaseys inspiring blog post..Need a Laugh? I hope your furniture turns up soon and that it’s not causing too much inconvience. Enjoy your new home and I look forward to seeing photos of the inside of that gorgeous house! Glad you made it safely “home”! We built new over 20 years ago & I am SO glad we did. Every single memory in this house is ours. I know that sounds kind of funny, but it makes our home very, very special. You’ll love it! Especially the “no stripping wallpaper” part. Here’s hoping your stuff makes it there soon so you can settle in. Old…new… either way, decorating is fun! You will have a blast just being able to play and not work in this home. Hope you guys are not sleeping on the floor for too long! The house looks really cool from this picture. 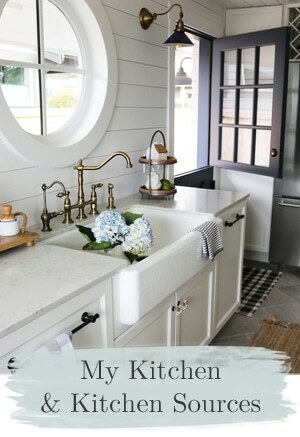 I love a rustic home, it’s my favorite! Many blessings in the new year (and the new home). I love the outside!! Don’t worry, your new house will feel like a home. We’ve bought new both times…the good thing is that everything about it is yours!! Congratulations and best wishes on a beautiful New Year in your charming New, new home!!! Wow! What a gogeous new home it is! Consider this little glitch in the beginning like a camping adventure! How fun fo you! And…must say i am impressed with how quickly you were able to get blogging again! Linda@Lime in the Coconuts inspiring blog post..Barn dreams…..
Yea – you’re in ( you – literally…maybe not the rest of your stuff :)! It has so much cozy warmth and charm! Can’t wait to see inside – with or without any decorating. Take us on a tour even before your things are in. We’d love that. It will be fun to see what you do with your new home. I love your new house & I hope that your furniture makes it soon! You will have so much fun making this new place a home. Best of luck! 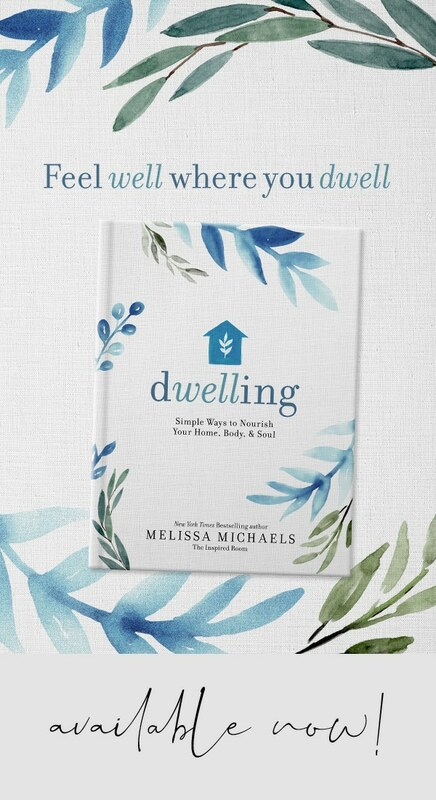 Dear Melissa – Your new home is wonderful. It’s so Pacific Northwest! Just right for Washington. Being a PNW girl myself – born in Washington – there’s something special about the new homes that are built to ‘go’ with the area. Your decision to buy a new home was the best one. 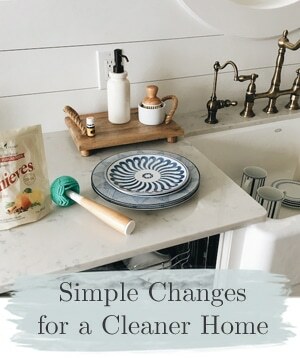 As you begin the new church and get involved in your new community you will be busy – much too busy to do the ‘dirty work’ of redoing an older home. Good choice! Can’t wait to see what you do with your home. I know it will be just right. In the meantime I’m thinking your view from the floor – until the furniture arrives – will give you a new perspective of just where every piece should go when they carry it through the door! Hi, Melissa, glad you made it safe & sound, but oh no on the moving van! At least you are warm & dry, so you can make it til they arrive. We actually slept on the floor at our house for a few days when we first moved to B’ham. My aching back! That didn’t last too long, we hit Target for a blow-up bed & it was actually pretty comfortable until we got a real bed. Blessings in your new house! I am glad you made it safe and sound to your beautiful new home. Oh My…..Oh My….it is so beautiful! All the best settling in! Can’t wait for more pics! Denises inspiring blog post..Make your home engergy efficient….it’s not too late! It’s gorgeous! The property looks beautiful too. It is a big house and a very beautiful house. I beat it looks fantastic from inside and the view… oh I can’t wait for the photos. I am sorry that your things didn’t arrive but otherwise it wouldn’t be so interesting LOL. I am so happy for you, what a great start of the year with a fulfilled dream. Melissa, so good to hear that you made it safely, despite the snow. Yep, we’ve had crazy weather here in Portland. We had more snow last night, but it’s now gone. Your new home is beautiful! I hope your Portland home sells quickly in this market. I can’t wait to see the house tour! Good luck in your new home, and sorry to hear about the crazyness, that reminds me when we moved to vegas from Germany, all our stuff went to New Mexico where we were going to go but orders got change and I guess they forget to change the shipment, so our stuff was lost for 3 months, we had no bed, nothing and we had a new baby, life was good, those were the good old days. Hope you get your stuff soon, we are getting snow today, what is up with all this snow. Have fun with your new home. Enjoy this new season of your life. Oh Melissa, it is beautiful!! I hope you get your things soon!! Hang in there, praying for you guys! I am so glad I met you! What a beautiful house! And it has all the charm and appearance of an older home with none of the work. I can relate to that. All the best in 2009 in your new home and hometown! Beautiful home. I’m in Washington too. (Snohomish County) I bought a brand new home seven years ago and I tell you, being the first to put anything in the cupboards, use the shower, and so forth, really makes a difference in how I feel about the home. Claire (Little Miss Sew N Sew)s inspiring blog post..Run, don’t walk. Congratulations! The new home looks amazing and I think going with a new home was a smart idea. Congratulations on the new home! It looks amazing and so “you”!! Melissa, I have been stopping by for about 2 months now. I’m so excited to be part of your new move. Your house looks lovely, and I’m so glad your drive went well! God bless you all and sleeping on the floor together can be part of the kids adventure! lisas inspiring blog post..WE WISH YOU A VERY MERRY CHRISTMAS AND A HAPPY NEW YEAR! Melissa, so relieved you all made it safe and sound to your new home! Moving! Yup….I’ve done it a million times too. You’ll do great. For now, enjoy the empty house with the kids, do things you can’t do in a furnished home. There are a lot of games to be played in that empty house. Thank you for fininding time to blog from your bean bag. I’ve moved into 2 brand new homes and am still trying to figure out how to give it character without the years. I look forward to learning from you and sharing anything I’ve learned. TIP: Paint. Cheap….and the colors can reflect you. It helps until you can make a brand new house feel like home. Oh my goodness, Melissa! It’s beautiful! Can not wait to see what’s inside once you’re set up! It’s so pretty!!! congrats. And I am sorry about the snow. We’d share the nice weather with you if we could. Good luck! I am very excited to tour your new home – it has lots of character from the outside. We’re building and should move in soon – within the month I hope. I am so excited to paint I can hardly stand it! I love the outside. I love the Pacific Northwest style homes. I know all about your crazy weather. All my family is in Washington too, so I am hearing all about the snow.. i miss Washington. can’t wait to see all you do. Absolutely gorgeous home!! Cannot wait to see the tour inside. No question you will make it incredibly charming. I love the style of this home and the touch of shingles. There is no shingle style here in the midwest. This home will be a clean pallette for your talents. I’m excited to see what’s on the inside. Just think of it as a camping adventure until your belongings arrive. Your description of the drive up to Washington sounds like what would happen when it would snow when I lived in Texas. I stayed home because people who are not accustomed to driving in that weather do some wierd things. In Texas it was like a demolition derby. I swear they would SPEED UP instead of slow down. You’re looks lovely and I will be back to check out the home tour! Good luck getting out of that bean bag! Pretty Organizers inspiring blog post..Are you TOO Organized? You’ll have so much fun with it! Congrats on the new house and Happy New Year to you!! God bless you! Oh Melissa, your new home is so beautiful!I am sure that you will create a welcoming home for your family. At one time you get the chance to work on a blank canvas and put your best ideas from years of experience renovating as well as things that you’ve always wanted to try, into practice. I hope the weather gets better soon, but from my experience, those uncomfortable moments are those that offer opportunity for fun beyond imagination! Wishing you a happy stay in your new home. And yes, I’ll be glad to stop by and visit soon. Your yearly project sounds like a great boost of inspiration. Congrats on arriving safely. Your new home is absolutely gorgeous. Just think, you can take your new home and make it look “lived in” and cozy. It will be a new kind of challenge. I am sure you will make it beautiful. I hope your things arrive soon! Karols inspiring blog post..And the winner is…. I suspect that the Enemy is trying to wear you down and tire you out before you start….. you must be on the right road. I’m excited for you. Melissa, I’m glad you made it to your new home okay, despite the scary snow! 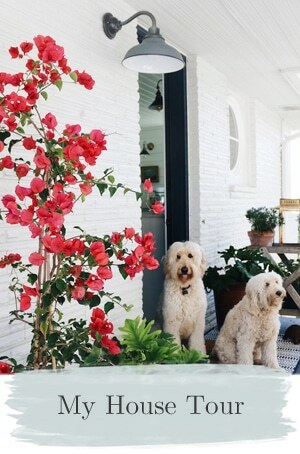 Your home is beautiful…can’t wait to see the inside! Hope all goes well. Congrats! It looks lovely and I can’t wait to see more of it and hear more of your new adventures. Melissa, no matter what age home you buy, you’d have to “make it your own” anyway. It is such a relief to be able to jump right in to the pretty stuff and not worry about plumbing, or roofs or septic tanks. It will be great to watch your progress. Glad you’re back! It is a lovely new home Melissa! You and your family will carry the memory of the old home and start new ones here in this home. Be it big, small, old, new, or even an apartment, it is still home. It is where your love dwells, and that will make it a home. Your new home is beautiful! I’ve never had a new one, but I can only imagine how FRESH everything is! I’m sure you will come up with plenty of projects to keep you busy around the house! It will be cozy in no time! Welcome to Washington! We have been having crazy weather here too. Your house is beautiful. I can’t wait to see what you do with it. Elaines inspiring blog post..Merry Christmas and Happy Holidays! Beautiful home. Looking forward to more pics. Glad you finally made it there safely. Don’t work too hard. How exciting Melissa! I love it! How fun to start the year off setting up and organizing in a brand new space! Jeanne @ Inspiring Ideass inspiring blog post..Happy New Year! Great looking house….I can imagine that there is nothing like walking into a new house and having nothing to do but hang pictures….I wish you all the happiness in your new home in your new state….Hope the furniture arrives soon!! Sues inspiring blog post..SOPHIE’S 2009 CALENDAR AND A NEW YEAR GIVE-AWAY!! the Oscar goes to………. Such a charming new house and in no time a HOME. We lived in a new house for 6 years, it’s hard. It gave us time to do things, go places and just relax but eventually it just made us antsy. Sometimes I miss it tho, all those working outlets! Enjoy! Welcome to Washington, Melissa! Over here on the other side of the state we’ve had 6 feet of snow in the past month! Craziness! Your new home is beautiful! Hope you get your stuff soon. Wishing you much joy and God’s blessing as you embark on this new life and ministry! What a beautiful new home you have! Congratulations and enjoy the extra time you have thanks to no cleaning of other peoples grime!! I’m so excited that you’d share with us :-) I love the home..can’t wait to see all your creative touches on the inside…I bet even your bean bag looks great! That is the most fabulous house!!! How exciting. You are going to have a great future there. I can’t wait to see more and what you do with it. For now…stay warm and I hope your goods arrive really soon! Lacys inspiring blog post..A little bit of art…. It looks charming Melissa! I can’t wait to see the insides. It’s pretty terrible, but I want our next house to be new for the same reason. I’m tired of changing everyone else’s wallpaper and decorating choices. What a darling house! And seriously, while I understand about old houses and fixing them up, how wonderful to be in a new house! I hope your moving truck has arrived by now! Can’t wait to see it all set up! Hi Melissa. Wow, what an ordeal you and your family endured during your move! I hope this week goes more smoothly for you. Thanks so much for showing a photo of your “new” home – how exciting. And I’m looking forward to Fridays with you and everyone who visits The Inspired Room. “A Beautiful Life” is the perfect outlook to have on this brand new year! I’m so glad that you and your family arrived safely. Your new home is lovely. I live in an old home and understand how you feel. As I get older I keep thinking about something nice and small and new. Can’t wait to see more of your new home! May God grant you many blessings in your new home. That’s so great! We are moving in two weeks from our 1953 home to a brand new home. I look forward to watching and learning from you as we journey into the freedom of new homes together. The new house is gorgeous. So beautiful! I cannot wait to see all the pictures I know you’ll share. Here is to hoping you get all of your stuff. . . . SOON! 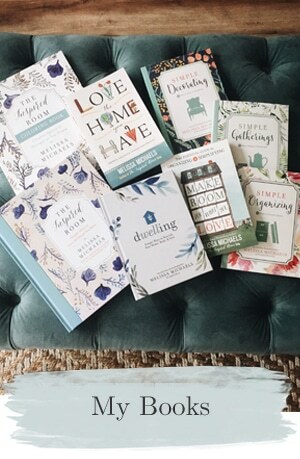 Daisy Cottages inspiring blog post..Feeling Blue? oh, this is a breath-taking house… i can’t wait to see it as your HOME! enjoy and blessings in 2009!! What a beautiful home. I can see why you chose this one!!! Melissa, the house looks great; congratulations! You’ve been through this big move and new adventure so maybe it’s good that you don’t have to clean up an old house this time. May the Lord bless you and your family in your new home. I can’t wait to see the pictures once you get your furniture. Your new house looks very cute! Sorry that your move went a little crazy, but praise the Lord you made it safe and sound! Looking forward to more about the move and the house. When we moved here three years ago, we stayed in the house for over a week with no appliances (Christmas time and Whirlpool’s delivery schedule was ridiculous! ), so we couldn’t wash clothes or cook! I feel your pain!!! Anyway, I look forward to hearing more about your new home adventures and I love your blog! Chondra Taylors inspiring blog post..Taking it all Down! Congratulations on your new home. We still haven’t made the plunge. The only gripe I have with most new homes (at least here) is the lack of a decent size yard. Although it becomes less important as utility costs continue to rise every year. You’ll be happy with your first utility bills compared to your old house I’m sure. Your house looks just stunning! Are you guys suffering from any of the flooding that we are getting up here in Vancouver, Canada? Tamaras inspiring blog post..So THAT’S Where My Scrapbooks Are! 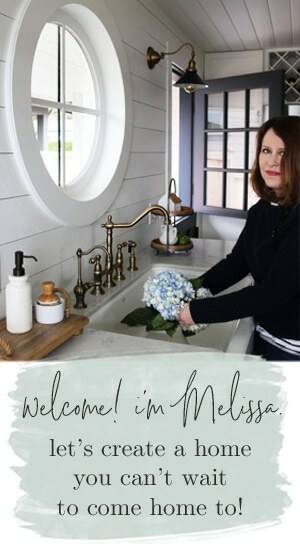 Melissa – I’m so glad you bought a new house! It’s so much easier and yours looks adorable and charming. Congratulations on your new life and ministry. Can’t wait to see more — it looks incredibly beautiful – the lot, the house! Wow – welcome to the world of new houses! I wonder if you will ever go back? I have always loved new houses – the freshness, the newness, the fact that no one (or maybe just one family) has lived in the house before. No mysterious stories or sounds, no person who has died in the bedroom before, nothing like that. However, last year I was able to see a renovation where the builder had gutted the house and everything felt new inside. It was like the best of both worlds – the charm of an old house, the new fresh feel of a new house. I must admit, though, given the choice – I would pick a new house every time. My ideal would be to build a new house that was architecturally sensitive to classic and historical architecture, but has all of the bells and whistles of the 21st century! Enjoy your home. Life is an exciting adventure, isn’t it?